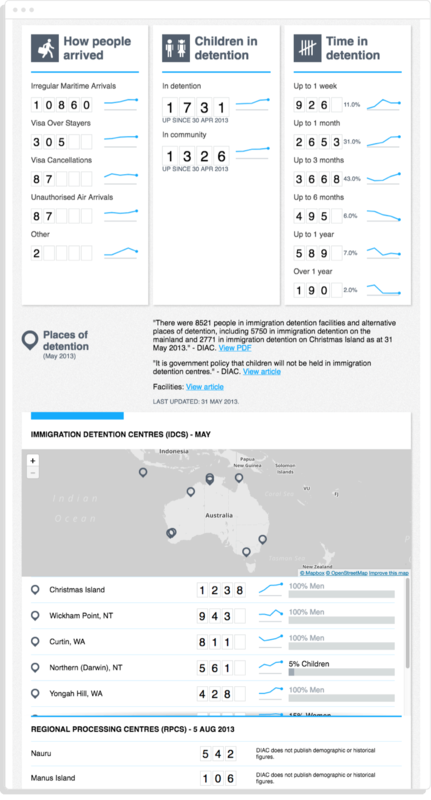 We created a series of dashboards displaying different datasets to take a non-biased view of the asylum seeker issue on a global scale. 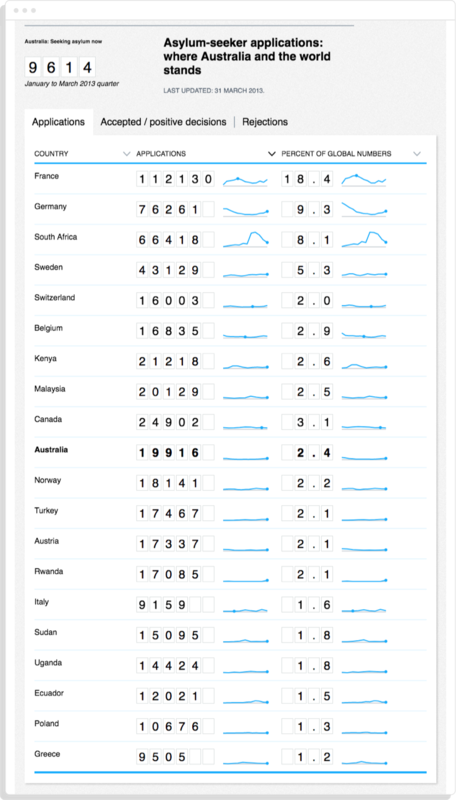 Where does Australia stand with the rest of the world on asylum-seeker policies? The policy and politics of asylum-seekers and mandatory detention continue to spark furious debate among politicians and the public. Small Multiples’ collaboration with SBS News aims to add context to the debate by establishing the facts on these issues. 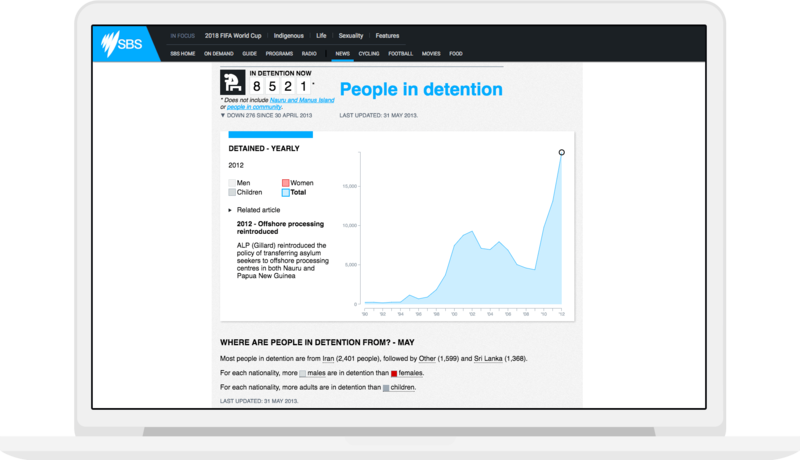 The project draws on official data sets from the United Nations and Australia’s Department of Immigration to take a historical and global look at the profile of asylum-seekers who come to Australia and the current status of Australia’s immigration detention system.